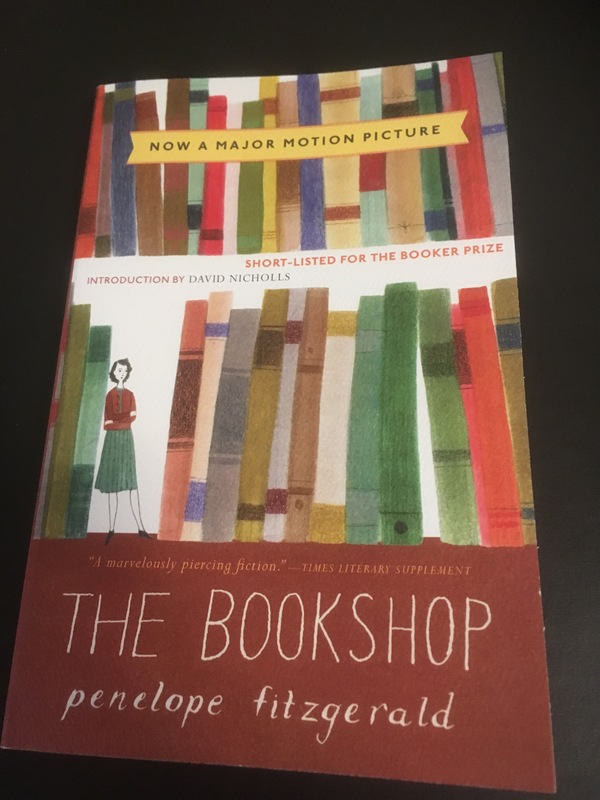 Last week, I picked up a copy of Penelope Fitzgerald’s The Bookshop while browsing in a Boston Bookstore. I had not previously heard of this author, but I was intrigued by her biography. She first published a book in her sixties. She won the Booker Prize at age 63 for her novel Offshore and was shortlisted for the Booker Prize for three other novels, including The Bookshop. Imagine yourself on a journey by train or plain. You want a book to pass the time, maybe even make the time a bit exciting. That was me reading this book. I read The Bookshop over several hours. The plot is efficiently laid out and I was transported to an English town by the sea. Most of us are familiar with charming English communities, but this is a town that is NOT that charming. The protagonist, a widow named Florence Green, who opens a bookshop, is optimistic, a positive force as she works to run a successful business. Instead of being supported by the community, however, the business is set upon at every turn. I identified with her, although not necessarily the lack of support she experienced. Given this background, one might think that this is a discouraging book to read. This is never the case. Fitzgerald uses irony and a kind of black humour as a foil to the townspeople’s negativity, ensuring that Florence’s character is underlined. This is skillfully managed and I found myself completely in thrall to this study of humanity. The Bookshop has been made into a movie and I can’t wait to see whether a filmmaker can find actors to play the characters that populate Hardborough, Fitzgerald’s English town by the sea in East Anglia.